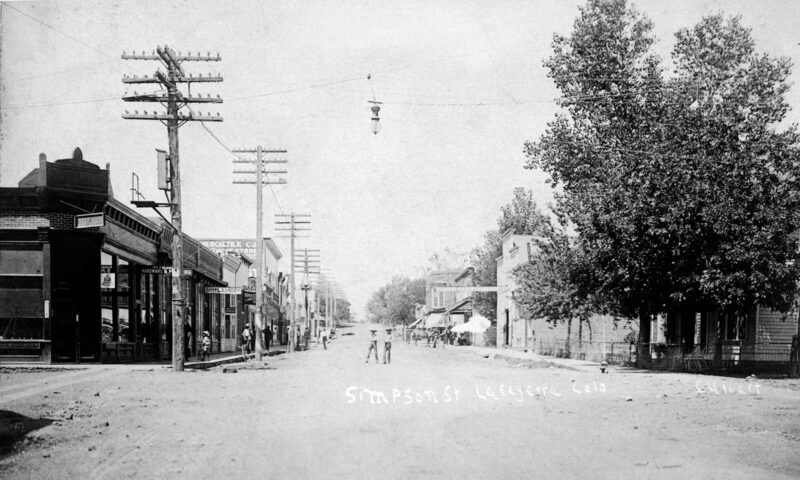 Lafayette History – Historical insights and discoveries for Lafayette, Colorado. The important coal mining town of Erie, Colorado is in the county of Weld, close to the eastern line of Boulder County. But the coal measures stand this way to the Marshall Bank and the mountains. It is estimated that the coal lands between Erie and Davidson Station on the C.C.R.R. are good for one hundred million tons of coal; and from Davidson to the mountains it is continuous coal measure. In counting our magnificent resources, we are accustomed to lay too little stress on the wealth of coal in the county; nor is our natural wealth bounded by our county lines. Eastward the measure extends into Weld, it is not known how far: and southward to Golden. 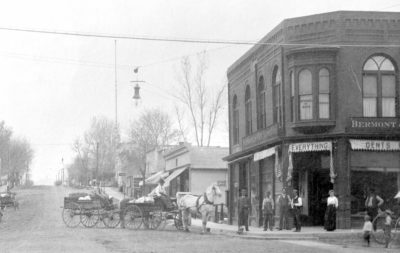 The A.C. Goodhue Building stood at E. Simpson and Iowa in Lafayette, Colo. and housed the Bermont & Van De Bergh general store. George Bermont owned the building from about 1903 until 1935. It was torn down about 1999. Newspaper reports of turn-of-the-century subsidence events are sparse, but the lawsuit surrounding subsidence at the Abner C. Goodhue building (also known as the Bermont building) was well reported. 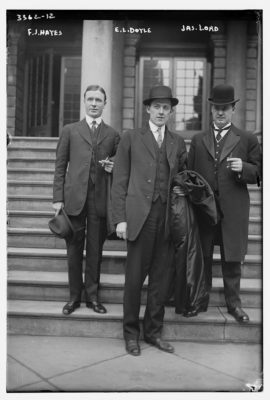 George E. Bermont, engaged in merchandising at Lafayette, was born in Franklin county, Pennsylvania, November 19, 1866, a son of George and Clara (Gilbert) Bermont, who were likewise natives of the Keystone state. The father there passed away, but the mother is still living. They reared a family of six children and all yet survive. George E. Bermont spent his youthful days in his native state and is indebted to its public school system for his educational privileges. He continued there until about seventeen years of age, when he removed westward to Carroll county, Illinois, where he resided for four years, during which period he was employed as a farm hand.